The Arizona Republican Party on Friday launched an independent audit to review the Maricopa County Recorder Adrian Fontes' Election Day practices, citing concerns of "election fraud," although no specific examples were provided. • Why the recorder decided to open emergency voting locations prior to Election Day. • Election Day voting procedures and challenges. • The ballot counting and reporting process. • Allegations of fraud during the 2018 midterm elections. • The recorder's compliance with state and federal laws. 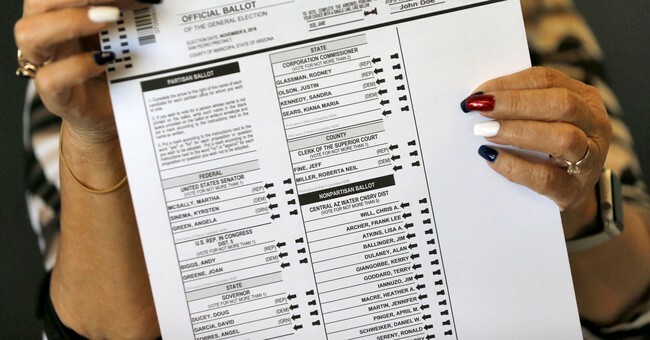 According to Tuscon.com, the "emergency voting centers" that the party is calling into question opened the Saturday and Monday before Election Day and have been utilized in the past by Republican recorders in other counties. "It is the GOP's hope that this audit will produce a fair, factually-based report that will help us better understand what happened in this drawn-out election and address the many concerns of the voters," the state party said in a statement. The Arizona Republican Party hired Phoenix attorney Stephen Richer to carry out the investigation in conjunction with Statecraft PLLC, which will serve as advisory legal council. A website will soon be established so Arizonans can submit information that is pertinent to the investigation. Once the audit is complete, the Arizona GOP will release the results to help with future elections. Republican Gov. Doug Ducey, who won his reelection by a landslide, wasn't fond of the idea and distanced himself from the probe. "The election’s over, the people have spoken,” he said. Ducey did, however, say that there are always room for improvements when it comes to voting but he didn't think the investigation should be lead by the party. “I always want, and I’ve said many times before, that we can improve, we can reform. We want it to be easy to vote and we want it to be hard to cheat," Ducey said. “Those are issues that can be handled in a legislative session or after the calendar turns."